What is love? Scientists, psychologists, and philosophers alike have searched for centuries to find the answer to this very question. Well, ladies and gentlemen, I have that answer: love is supporting a team that stinks, year in and year out. Therefore love, quite simply, is Toronto Maple Leaf fans. Seeing as how management doesn’t win you games, Leaf fans can expect another heartache-filled season. To make this preview worth the read (because how many times can you possibly read about the train wreck that is this team? ), I’ve created an original ranking system to apply to the various succeeding categories. Each category below is ranked on a scale of “things Leaf fans throw on the ice”. Really. The likes of James Van Riemsdyk, Tyler Bozak, Nazem Kadri, and Joffrey Lupul are expected to lead the way up front for the Leafs. Van Riemsdyk and Bozak are both coming off fairly solid 82-game seasons point wise, with Van Riemsdyk tallying 56 points and Bozak racking up 49. However, with the absence of Phil Kessel on this line, both of their numbers may very well – and very steadily – decline. Points aside, JVR and Bozak were completely unnoticeable during that latter half of last season. 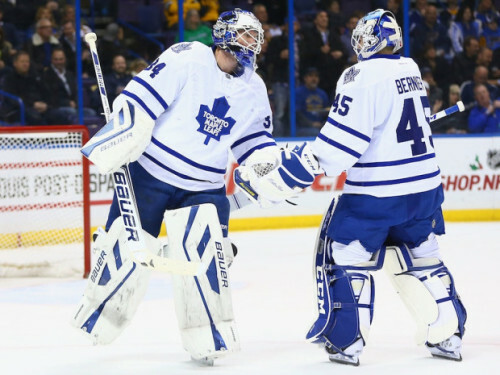 These two need to be playing at their best if the Leafs are to do any damage upfront this season. Nazem Kadri – where to begin. Entering his fourth full season with the club, it’s safe to say that the 7th overall pick from 2009 needs to have a stellar season. The 6’0” centreman has drastically underachieved in the eyes of many – not only production wise, but in terms the overall maturity of his game. His play yearns for consistency. In the event that Kadri has yet another mediocre season, there’s a good chance that it’ll be his last in Toronto. Joffrey Lupul will be relied upon heavily this season to put the puck in the back of the net. Of course, he can’t do so from the press box. Lupul hasn’t played more than 69 games in a season (that’s less than 85%) during his time as a Leaf. Now that he’s beginning the season healthy, expectations are high for the 32 year old. Whether or not he can stay healthy – not to mention satisfy these expectations – is a whole other story. After playing 78 games for the Vancouver Canucks in 2014-15, the Leafs signed Matthias as a free agent. His speed, skill, and hockey IQ make him a solid signing for this club. Should he develop some chemistry with his linemates, the 27 year old has the potential to make a significant mark this season in Leafland. Don’t be surprised if he’s amongst the team’s scoring leaders. Drafted by the Toronto Maple Leafs in 2000 (24th overall), Brad Boyes is back in Toronto and finally has the chance to lace up the skates for the blue and white (he was traded in 2003 without ever playing a game). By the looks of it, Boyes will receive ample playing time this season on one of the top two lines. Although entering his 13th NHL season, the 33 year old still seems to have some offensive fire left in him. If given the chance to play, Leaf fans will quickly realize that Mark Arcobello is one of the hardest working guys around. The 5’8” winger is all kinds of determined on the ice and possesses the skill set to compliment this work ethic. Responsible in several facets of the game (offensively, defensively, on the penalty kill), Arcobello has the ability to be a valuable asset this season. Returning to the Leaf’s blueline are Dion Phaneuf, Jake Gardiner, Roman Polak, Stephane Robidas (if he isn’t injured) and Morgan Rielly. Can we all just take a moment to truly appreciate Morgan Rielly? The kid is 21 years old and has the poise of a 40 year old on the ice; his skating ability is superb and the plays he makes with the puck are awe-inspiring. He’s developing into a very special player and he is most certainly the bright spot on this team. 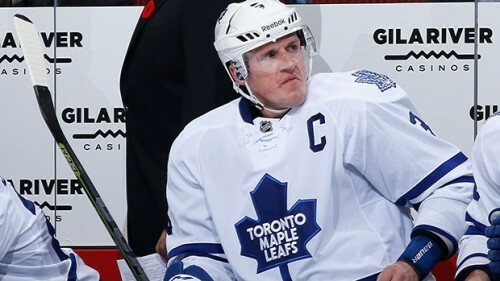 Dion Phaneuf – the man Leaf fans love to hate – simply needs to focus on playing sound defensively this season. Last season the Leafs finished 24th in the league in goals for per game with an average of 2.51. With Phil Kessel predominantly involved in most of those goals (he lead the team with 61 points and his line combined for 75 of the Leafs 206 goals), it’s fair assume that this average will plummet significantly. Thus, strong defensive play is a must if Toronto is to have success this year. Speaking of tightening up defensively, Jake Gardiner needs to do just that. He finished last season with the worst plus/minus rating of all defencemen on Toronto (-23). Am I the only one who thinks that Babcock should try him on forward? It’s pretty clear that he’s an excellent skater and can carry the puck – he’s just not that reliable defensively. So why not put him in an offensive role where he can potentially excel? 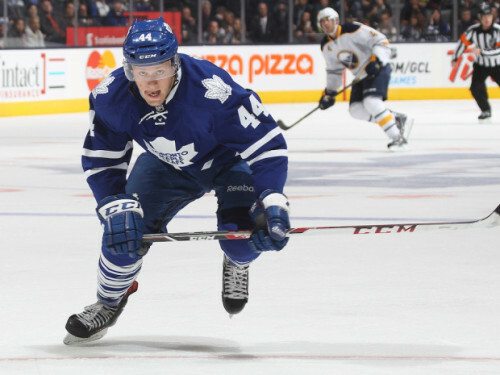 There are numerous young defencemen within the Leafs system that can seamlessly fall into this spot: Stuart Percy, Petter Granberg, and TJ Brennan are all competent. Finally, Iron Man… err I mean Roman Polak… just needs to keep doing his thing. It appears as though Scott Harrington will be in the Maple Leaf’s lineup come Wednesday night. The 22 year old only has 10 NHL games of experience under his belt from last season but is a player who shows plenty of promise. Look for him to establish himself as an accountable NHL defenceman this year, should he be presented with the opportunity. Signed to a 2 year contract as a free agent by the Leafs, Matt Hunwick is expected to bring grit and durability to this group. He finished last year with a +17 rating in 55 games as a member of the New York Rangers. Hopefully he can pose a similar plus/minus rating this year in T.O. Jonathan Bernier had a season to forget last year. Aside from dealing with injuries, Bernier simply lacked focus in the net. His .923 save percentage from 2013-14 fell to .912 and he surrendered 14 more goals than he had in 2013-14, while appearing in only 3 more games. Even more disappointing was the quality of goals he allowed: shots from bogus angles, shots from centre ice (who can forget that one against Arizona in January), and even just routine wristers. He needs to be a lot sharper this season – no, I’m not referring to his Nelson Mandela mishap – and prove that he can be the number 1 goalie for this franchise. In my mind, James Reimer is a top-notch backup goaltender. His agility and willingness to compete in the net are invaluable and work to his advantage. With some confidence instilled by coach Babcock, look for Reimer’s game to elevate to the next level. I expect the Leafs to finish this season in the league bottom 3. Considering the fact that Leafs management is preaching the route of developing players over time, I don’t expect them to make any monumental trades that will change this final outcome. 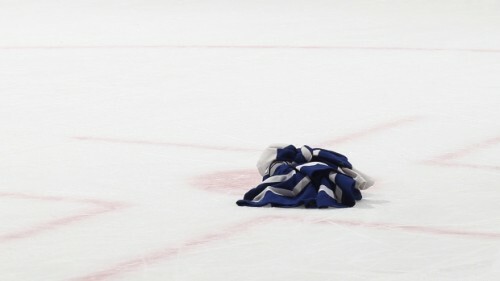 What should Leaf fans throw? Jerseys – and they just might.